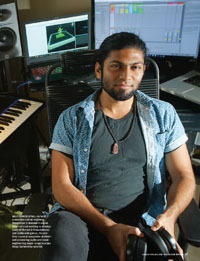 MULTIDIMENSIONAL: As both a musician and an engineer, Shashidhar is steeped in sound. When he’s not working to develop state-of-the-art 3-D headphones and audio-only games, the one-time classical saxophone student—and pioneering audio and music engineering major—sings in a San Diego barbershop quartet. (Photo: Sandy Huffaker/AP Images for Rochester Review) More . 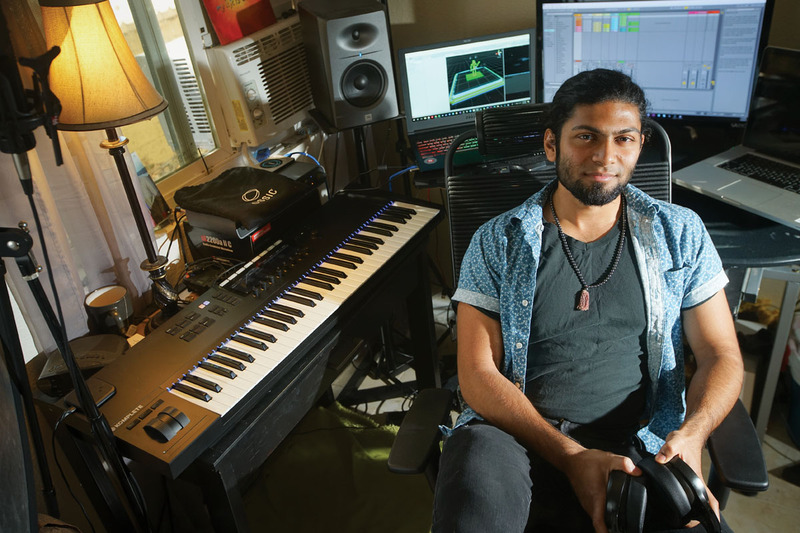 . .
Kedar Shashidhar ’15, ’16 (KEY), one of Rochester’s first audio and music engineering graduates, is on the forefront of three-dimensional sound. C. Mike Lindsey ’08, ’09 (T5) harnesses his passion for improving systems as an urban agricultural entrepreneur. Brian Daboll ’97 is named offensive coordinator for the Buffalo Bills. Ron Thomas ’71 is recognized as a trailblazer by the National Association of Black Journalists. An industry leader is among the newest inductees. Two Rochester alumni are in top posts at the world’s leading organization for the advancement of science.